A large potential exists to improve the current practice of HVAC design and operation of buildings with respect to occupant comfort, energy use or energy cost, and investment costs for design and construction. More speciﬁcally, design and control processes can be improved through the use of contemporary optimisation algorithms such as Model Predictive Control (MPC). Numerous papers have demonstrated the value of MPC using both simulation and demonstration projects. Practical implementation of MPC in industry is however hampered by the expert knowledge and time investment that is required for developing MPC controller models and algorithms. An MPC development methodology that is both practical and scalable to large problem sizes has not been demonstrated to date. Moreover, design studies typically do not take into account the interaction between control and design. 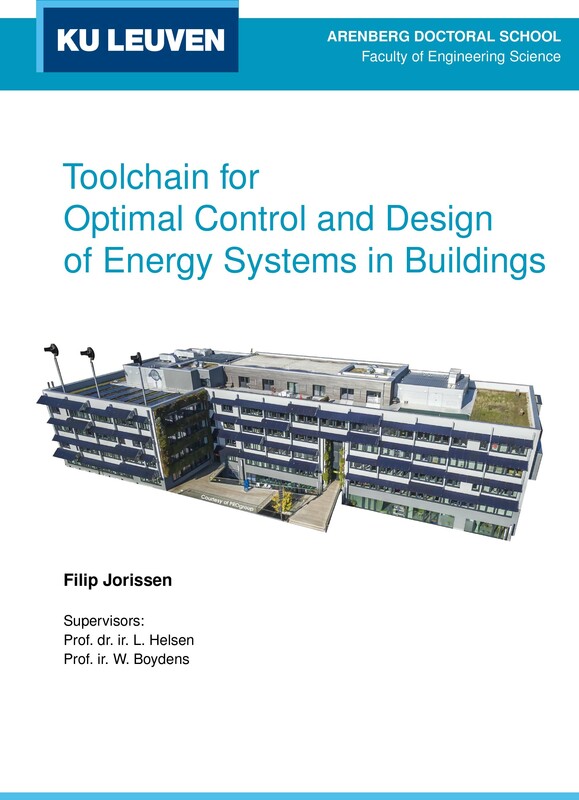 This PhD thesis therefore proposes a user-friendly, object-oriented method-ology for integrated optimal control and design of buildings. For this methodology, modelling experts develop generic, detailed, but easy to use component models for optimal control problems using the object-oriented modelling language Modelica.